Cranbrook, BC (March 5, 2019) - It is with great pleasure that the RCMP, the City of Cranbrook and surrounding East Kootenay region are formally announcing that Sergeant Barry Graham has been selected as the new Cranbrook RCMP Detachment Commander. Originally from Newfoundland, Barry graduated from the RCMP training academy Depot in 1997 and was sent to his first posting in Cranbrook. Barry transferred to Kamloops in 2006 where he was promoted to Corporal and held operational & specialized positions in charge of the Action Response Team (KART), property crime and later the Kamloops drug unit teams. 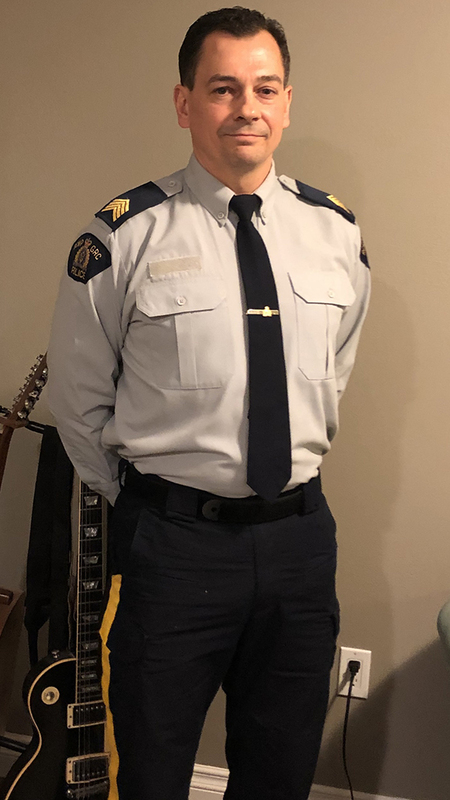 Barry transferred to Salmo BC in July 2009 as the non-commissioned officer (NCO I/C), then transferred to the Cranbrook Detachment (for the second time) in April 2012 as a watch commander, later promoted to Sergeant as the Cranbrook RCMP Detachment Operations NCO in November 2015. Upon his first arrival in Cranbrook, Barry was, and remained the most junior member of the Detachment for five years and has now reached his dream job as the Detachment Commander. “I am extremely fortunate to have been posted to such a fantastic area, with even greater people not once but twice!” says Sergeant Graham. “As John Lennon said, "there are no problems, only solutions" and Yoda "Do or do not. There is no try." The City of Cranbrook considers itself lucky to have a detachment commander with the skill set and experience that Sergeant Graham brings to the role. Barry, his wife and his two children are very happy to remain in the Cranbrook area, and are all excited for this chapter with Barry as the new Detachment Commander. Sergeant Graham will formally be promoted to the rank of Staff Sergeant once he assumes the role and responsibilities at the Cranbrook Detachment.